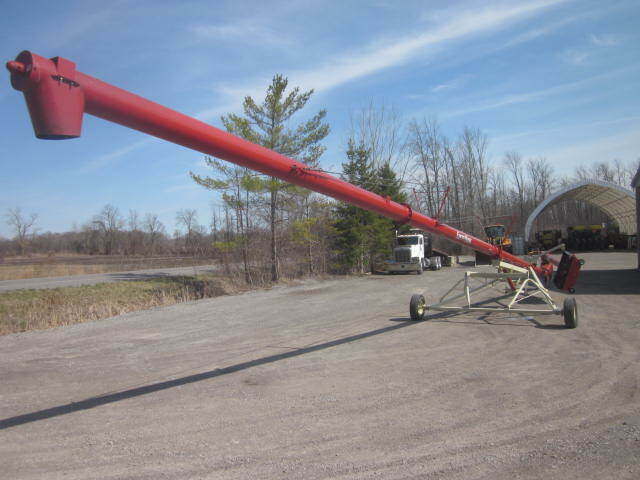 Farm King 1070 Grain Auger, 70′ x 10″, Swing Loading Auger (Left or Right), Hydraulic Lift, 540 PTO, $9,900. 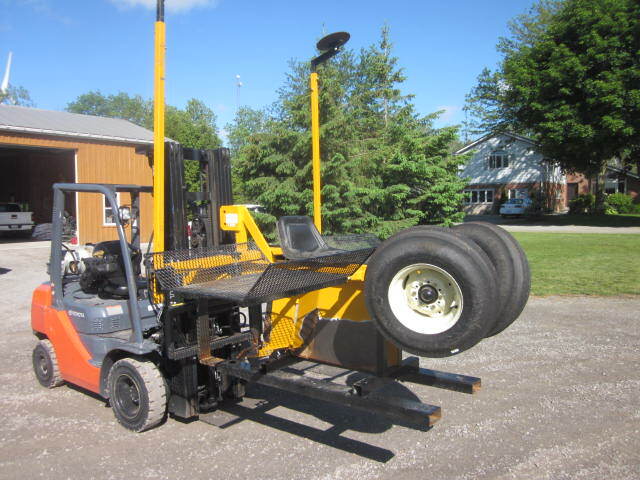 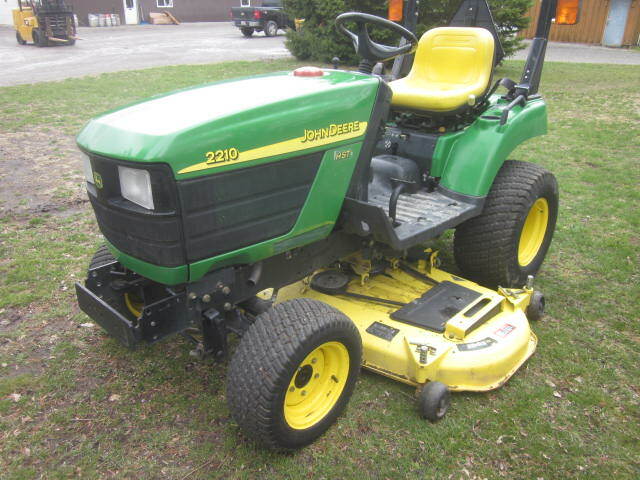 2004 JD2210 Compact Tractor/Lawn Mower, 2 Speed Hydrostatic, Diesel, 4×4, 3 Point Hitch, PTO, Light Package, 62″ Mower Deck, 803 hrs, Very Nice, $9,750. 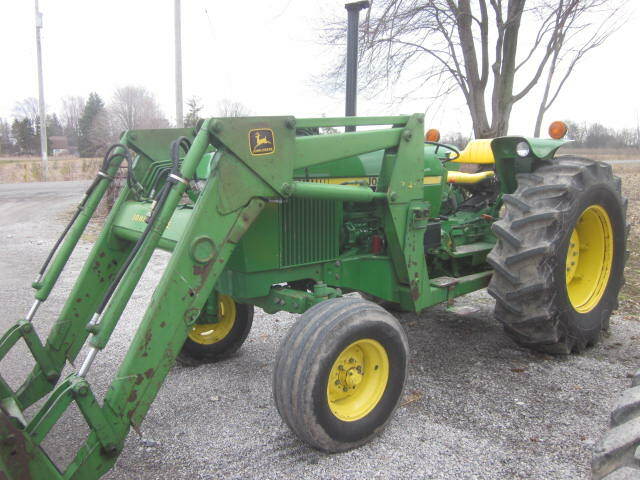 JD 2550 Tractor C/W 245 Quick Attach Front End Loader, Diesel, 2 Wheel Dive, PTO, 2 Remotes, 3 Point Hitch, One Owner, 5,020 hrs, $22,500. 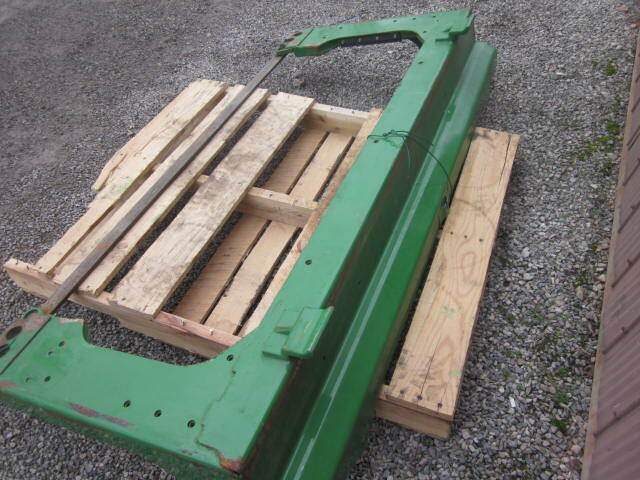 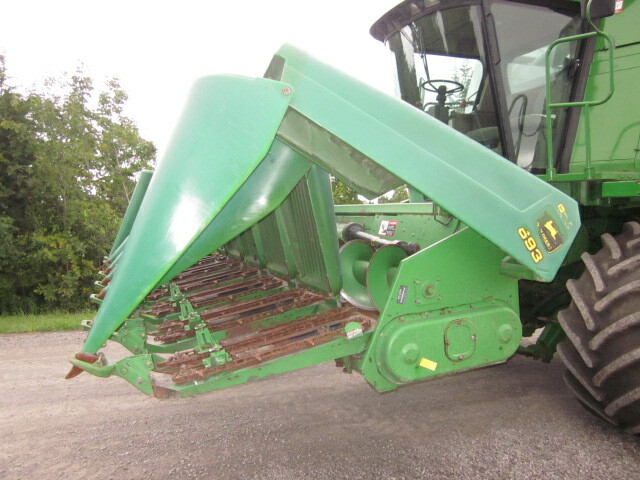 John Deere 637 Disc, 32′, 9″ Spacing, Depth Control Valve, Hydraulic Fore and Aft, Hydraulic Wing Control, Wing Wheels, Front Blades 22 3/4 inch, Rear Blades 23 1/4 inch, Very Nice Unit, Ready For Work, $33,000. 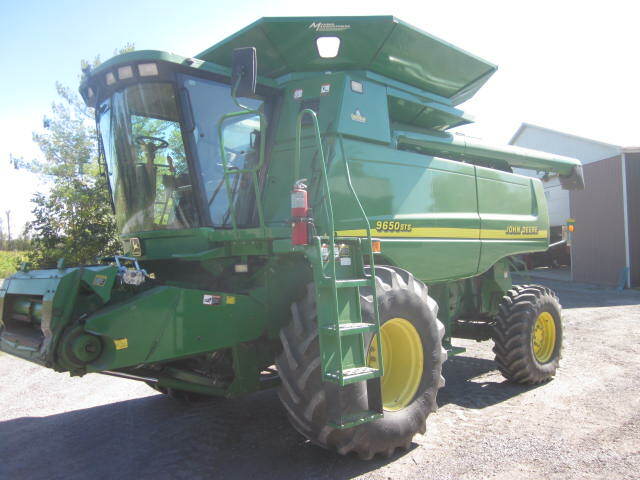 2001 John Deere 9650 STS Combine, 4×4, 8.1 Turbo Diesel, Chopper, Contour Master, Big Top, Variable Speed Feederhouse, 800 65R32 Tires, Single Point Hookup, Greenstar Yield Monitor, 600 Series Ready, 3,013 Engine Hrs, 2,017 Separator Hrs, Very Nice Ready to Work Combine, Come and Field Test, $94,000. 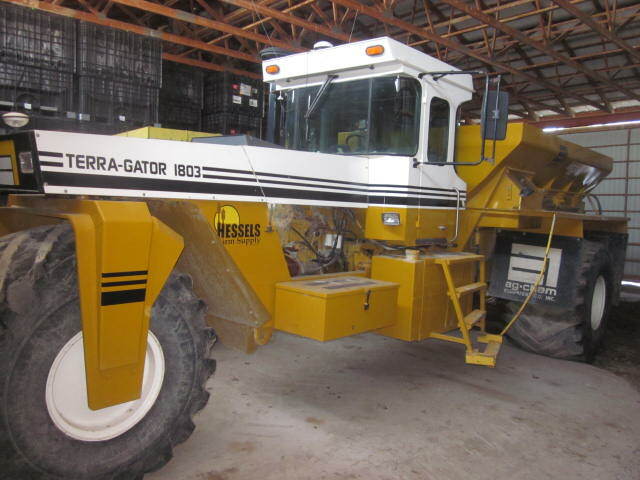 Ag-Chem Terra Gator Model 1803, 8.3 Cummins, New Leader 2020 Spinner Box, Raven Controller, Outback Guidance, 3551 hrs, Nice Clean Low Hour Unit, $28,500. 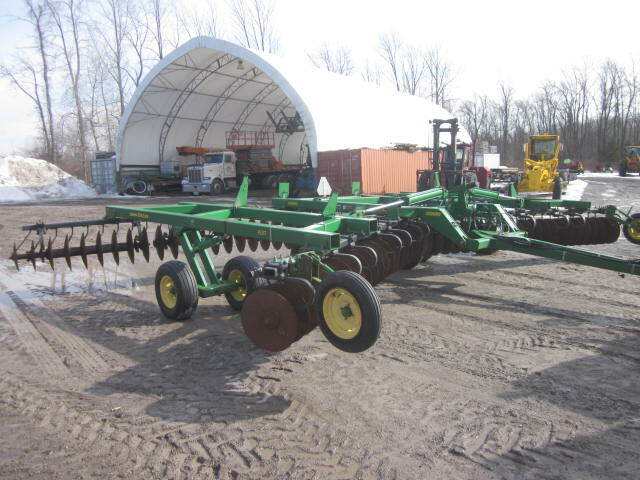 John Deere 693 Cornhead, 6 Row, 30 inch, Contour Shafts, $11,500.